SSC CGL & MTS Toppers Complete Handwritten Notes 2019 Download ! After contacting Toppers of SSC CGL, we have got SSC CGL Toppers Handwritten Notes. Here We Are Sharing SSC CGL Toppers Handwritten Notes which is very useful for All competitive exams Paper. These SSC CGL Toppers Handwritten Notes is printed with the high-quality printer so that visible quality should be the best. These Handwritten Notes are full of Quick Tips & Tricks Which Are Very Very Important For Your Exams Like SSC / UDC, IBPS, SSC JE, RRB JE And SSE, Etc. You Can Download These premium Study Material By Paying some amount of Cost. These handwritten notes of SSC CGL Toppers will help you to prepare different competitive exams like SSC / UDC, IBPS, IES, UPSC, State PSC, RRB JE, Railway Exams, Junior Engineer, Senior Section Engineer and so on. These SSC CGL Toppers handwritten notes will help you to understand all key concepts. We’re glad that you found what you were looking for. It is our goal that you are always happy with what you bought from us. If You Would like to Qualify in All Top competitive exams Exam and get your desire jobs, then Buy all Handwritten Notes and start preparation from today. Common Mistakes students do during preparation for the GATE Exam! 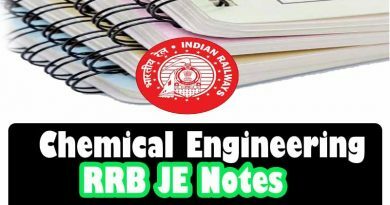 SSC JE Electrical Engineering Study Materials-Handwritten Notes Download! How to prepare a time table for the GATE Exam! The Science Behind Positive Thinking ! what is Success? The Best Supplement and Vitamins for Mind Concentration & Memory! How To keep yourself motivated while preparing for the GATE Exam! How to prepare & get 80+ marks in GATE Exam! IBPS SO IT officer Toppers Complete Handwritten Notes Download! SSC JE Mechanical Toppers Complete Handwritten Notes! 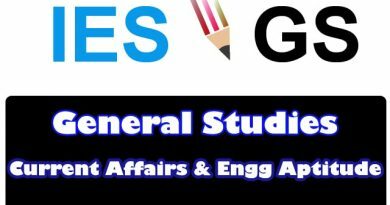 Agricultural Engineering GATE Toppers Class HandWritten Notes Download! Toppers SSC CPO Study Materials-Handwritten Notes Premium Download! UPSC Prelim Exam Coaching Notes Download! Handwritten notes of Aptitude for MBA entrance Download Now! Allen Career Institute General Awareness & Current Affairs Notes Download! Made Easy Class Handwritten Notes of ME (Mechanical Engg) for GATE 2020! Made Easy GATE Physics (PH) 1St RANK Holder Class Toppers notes Download! 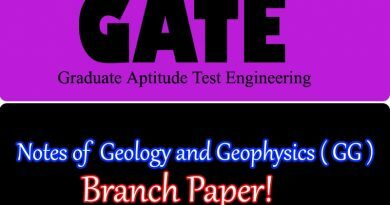 Geology and Geophysics GATE Toppers Class Handwritten Notes Download!